Click to schedule a PbX program in your setting! The 2018 Five Rivers Peacebuilder experience (PbX) was held on Sunday, Sept. 16, 1-5pm at the Dayton Metro Library. More than 300 seats were reserved for the Main Session featuring Paul Chappell and the performance of Kim Belew and Angell Peace. Ten engaging Break Out Sessions followed including a reading of “Mother Courage and Her Children” by Dr. Stuart McDowell and a cast of faculty and friends of Wright State University. The Women Are Human project of 21st Century Peace Literacy Foundation was also launched featuring “Les femmes sont humaines,” a painting by Patsy Ferrell that embeds the stories of six women Human Equality Pioneers. Thanks to the Dayton Metro Library for providing space and hospitality for this event. 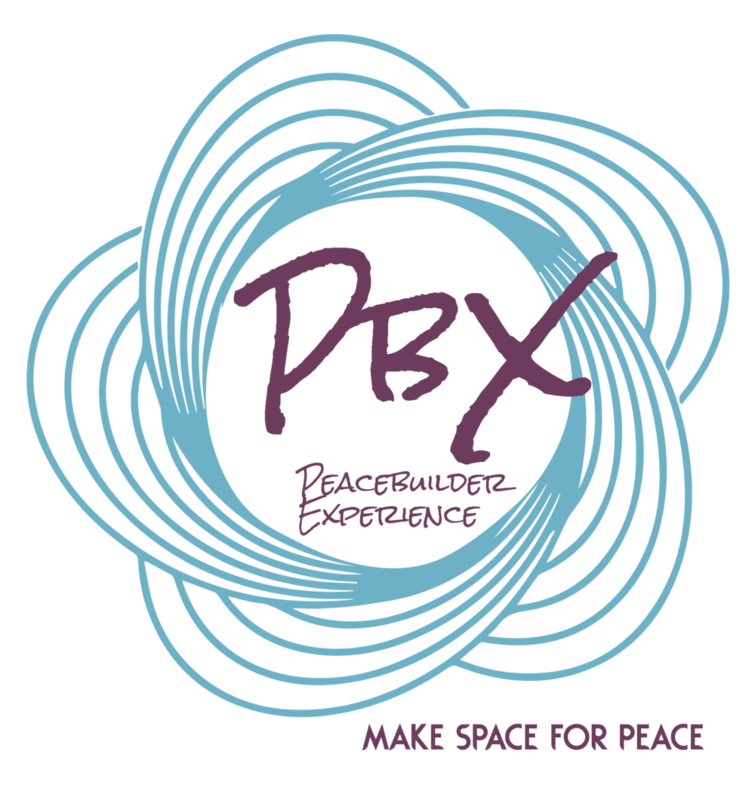 The Peacebuilder Experience (PBX) is a versatile venue for helping individuals and communities live more peaceably. The Peace Literacy Foundation offers a variety of resources that can help you organize a successful PBX in your community. Contact Peace literacy foundation to find out more! and the art of living through peace literacy. Sarah, a young songwriter inspires us all to work for a world where "all of the children are happy and free." To lift up women in the reality of their humanity. To give women the acknowledgement and nobility they have earned by making visible their valiant struggle to be realized as human beings with human rights, able to exist and live in their own right. Celebrating Cincinnati’s official Mayor’s Proclamation to join International Cities of Peace on Sept. 30, 2018. The Peace Literacy Foundation is a member of the NonViolence Alliance of Greater Cincinnati. Six Peacebuilder events in four states, Ohio, California, Arizona and Oregon with $200,000+ raised for peace literacy initiatives since 2015. 2017 Annual Peace Literacy Word Calendar (distributed 5,000 copies). The Hub Peacebuilder Tour, a mobile peace education resource to support Rotary peacebuilding at the community level. 9,200 miles/100 days on the road. More than 100,000 followers on 8 social media sites including 65,000 Peacebuilder Experience (PbX) followers; 39,000 Peace Heroes Walk Around the World followers. Presenter of the annual Miami Valley Peacebuilder Walk & Village -- the largest peacebuilding walk in U.S.A. The Hub Peacebuilder featured at the 2017 Rotary International Convention in Atlanta, GA. Provided speakers and music entertainment for the 2017 Rotary World Peace Conference in Ann Arbor, MI. The Hub was a big hit! Sponsored 3 Peace Literacy Dayton Film Forums that drew a total of 326 people. Collaborated with Presbyterian Disaster Assistance to create a film to promote Film Forums on social issues. Organizers of the Peacebuilder Experience on Sunday, September 16, 2018. Launched "Women Are Human" movement (WAHm) on August 20, 2018. Through peacebuilding events we have helped communities flourish and gain greater visibility for future collaborations. We started as a project of the Dayton International Peace Museum and in October 2015 chartered in the State of Ohio as a separate IRS-approved 501 (c) (3) nonprofit. Through social media followers, community events and participation in the Rotary International Convention. "The right tools for solving disputes within our community are precision instruments such as reason, communication, empathy, curiosity, and understanding. They are also the right tools for building a global civilization of peace and prosperity." ~ Paul K. Chappell, is an international peace educator and serves as the Peace Leadership Director of the Nuclear Age Peace Foundation.